Dr Trish O’Connor has specialist skills in research, evaluation, training and communication. She brings to the AHA team a depth and breadth of experience gained through senior positions in health and education, in public and private sector organisations, in Australia and Ireland. 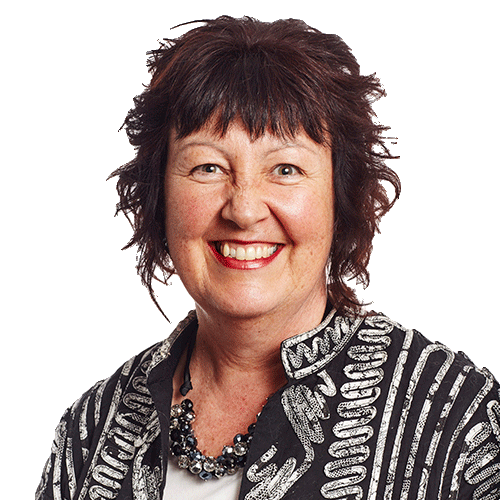 Trish’s qualifications include a PhD, a Master of Evaluation, a Master of Arts by research, a Bachelor of Arts (Hons) and a Higher Diploma in Education. The research component of her Masters and undergraduate degrees focused on the socio-economic determinants of cancer and respiratory disease mortality respectively. She is a member of the Australasian Evaluation Society and holds an honorary academic appointment as an Adjunct Fellow with the School of Social Sciences at the University of Western Sydney. Over the past five years with AHA , Trish has successfully managed many complex evaluations – multi-jurisdictional as well as state based. She has demonstrated strong project management skills and specialist evaluation expertise, using mixed methods approaches involving both quantitative and qualitative data collection and analysis. Before leaving Ireland in 1993, she conducted research and evaluation on behalf of the Institute of Public Administration in Dublin, ran her own IT business and designed and delivered a variety of adult education courses. Her work at the Institute in the Irish public sector, included an evaluation of Comhairle na nOspidéal (the Irish Hospitals’ Board). After three years as a secondary school teacher in Australia, she was awarded a prestigious Australian Post-graduate Award which allowed her to undertake and successfully complete her PhD research in migration and cultural studies. Trish then worked as a Research Fellow at the Centre for Eye Research Australia, where she combined her research and evaluation interests and applied them in Australia and the Asia Pacific. She has conducted evaluation projects for the Royal Victorian Eye and Ear Hospital and Vision 2020 Australia. Trish was the Lead author of the Monitoring and Evaluation Handbook developed for use by the AusAID-funded Avoidable Blindness Initiative Consortium Members working in the Asia Pacific. Her work has achieved widespread recognition through publications in national and international peer-reviewed journals. She has also presented at national and international conferences. Trish has specialist skills in research, evaluation, training and communication. She brings to the AHA team a depth and breadth of experience gained through senior positions in health and education, in public and private sector organisations, in Australia and Ireland.